After a disappointing second half outing against the Raiders, the Warriors travelled to Melbourne to face the Storm in their annual Anzac day clash. Memories of the 42-0 embarrassment from last season hanging over their heads the Warriors needed a much-improved effort if they were to walk away victors. The Warriors did improve against the competition-leading Storm but they could not keep the pressure on and were defeated 20-14. 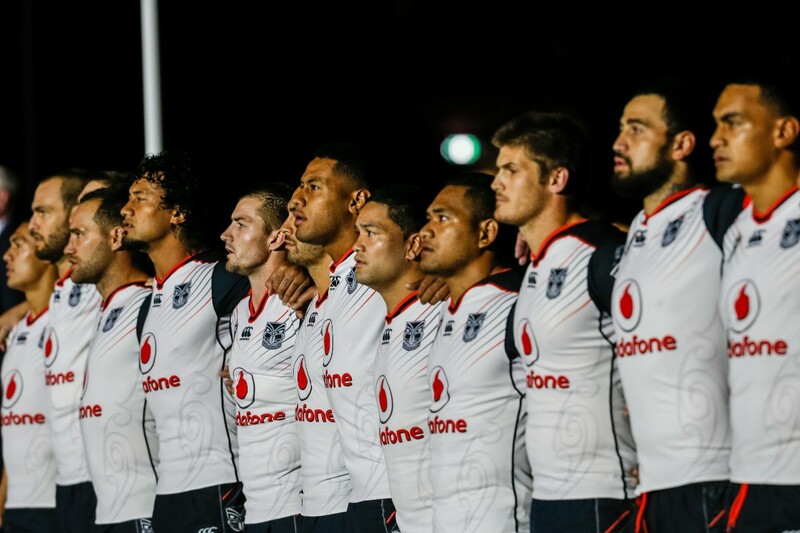 The Warriors started well yet again with the forwards lead by James Gavet running with purpose and probing the Storms defensive line and coupled with a focused defence they piled on the pressure. The pressure was converted into a scoring opportunity for David Fusitua at the 10-minute mark, Shaun Johnson converted and the Warriors continued with the same gameplan. The Storm finally managed to get on the scoreboard after man mountain Nelson Asofa-Solomona barged over the try line 30 minutes into the match, with Cameron Smith converting the scores were level until the Storm gave away a penalty with two minutes remaining in the first half, after a few moments of confusion amongst the team the Warriors elected to take the penalty goal and went ahead 8-6. This, however, did not last as the Warriors gave away a penalty of their own in the dying stages of the half and Cameron Smith slotted the penalty to tie the game up 8-8 at the break. The Warriors came out with intent in the second half with David Fusitua crossing for his second try of the match 4 minutes in. Cooper Cronk scored after Will Chambers took advantage of a defensive mismatch with Bodene Thompson having to play at centre with Solomona Kata going off with a hamstring complaint. The Warriors showed more indecisiveness when the Storm gave away another penalty and they looked unsure of what to do, they eventually decided to go for another penalty which Shaun slotted to give the Warriors a 14-10 lead with 30 minutes to go. Both sides traded sets until the Storm changed gears and Josh Addo-Carr scored in the corner barely managing to stay in the field of play. A try to Felise Kaufusi in the dying stages of the matched sealed the Warriors fate with their fifth loss of the season going down 20-14. My Warrior of the game goes to Blake Ayshford. I have been impressed with Blake's performances since his return in round 4, Blake is not a superstar game breaker but he doesn't let you down. His presence has helped tighten the defence on his edge (24 tackles in this match) and his combination with David Fusitua is bearing fruit in its early stages. His ability to draw defenders in and open space up for David to take advantage off. Blake is off contract this season but I would be open to resigning him for next season. My Warrior who needs to improve goes to Ligi Sao. Ligi has not offered any substance since his return to New Zealand, let alone this season. Unfortunately, he is current a waste of an interchange, I couldn't even locate a picture of him from this game for my review, hence the team shot. I don't understand why he was brought into the side to replace Bunty Afoa as I feel that Bunty has outperformed Ligi so far in every way. Ligi like Blake, is also in the final year of his contract but I would not be signing him for further seasons, I think it would be best for the Warriors if Ligi played reserve grade for the rest of the season with Bunty or Charlie Gubb taking his spot on the bench. Despite the end result, I think this was one of the better performances from the Warriors this season. The Warriors handling improved tremendously with only 5 errors in this match, an 86% completion rate sets you well on the way to getting a victory. Missed tackles are still an issue with the Warriors missing 39 tackles in this match and allowing the Storm to make 15 offloads. But the Warriors travelled to Melbourne and face the competition leaders and it took one of the Storm best performances of the season to defeat the Warriors and if the Warriors can continue to play like they did on Anzac day they will start climbing the competition ladder. Kieran Foran, Shaun Johnson and Roger Tuivasa-Sheck are continuing to link up and cause headaches for the opposition and Ben Matulino played well in his return from injury. The Warriors are still coming up with some poor last tackle options and need to try and create more second phase football to convert opportunities into points. However, despite the loss, the Warriors are improving as a unit but need to start stringing wins together. Before I wrap this review up I just want to mention the refereeing in this match. Ben Cummins and Dave Munro did not cost the Warriors this match but their performance was woeful. Josh Addo-Carrs try decision was correct in my eyes but I was surprised that it was not sent to the bunker for confirmation. The Storm held the Warriors down in the tackle for a noticeably longer period of time than the Warriors were allowed when they were defending. Blake Ayshford being penalised for being offside when he was clearly onside was a joke and observing Ben Cummins smiling when Cooper Cronk scored left a filthy taste in my mouth. The Warriors are not the only team to get the sharp end of the stick in the referring department but unfortunately the referees are a protected species and nothing ever appears to be done to punish their poor performances and this needs to change, even if it is as simple as a referee getting dropped for a week after a bad performance. This week the Warriors return to Mount Smart to face the third-placed Sydney Roosters, this will be a close match with the Roosters coming off a hard-fought victory over the Dragons and will be looking at cementing their spot in the top 3. If the Warriors continue to perform like they did against the Storm they will give themselves a great chance to win. The Warriors need this win badly and I believe they will get it winning by 8. So that Round 8, a loss but with definite signs of promise, and as per usual I will leave you with some questions. What was your opinion on the refereeing? If Solomona Kata doesn't return from injury this week who would you pick at centre? Would you have taken the penalty goals or pushed for tries? I'm nearly always in favour of taking the two points from a penalty - there are some exceptions, but usually it'd only be if someone's onto it enough to take a quick tap and exploit a lazy defence. Key point though, is that there needs to be a good, solid set of six to bring the ball back up from the kickoff. The Kata situation... doesn't this just reveal a gaping hole in our depth? The obvious choice in the last couple of seasons would have been Tui, but he seems a bit flat these days. Reffing... like you, that's not why we lost, but dear oh dear oh dear, some of those calls were just shithouse. Clubs need to start making official complaints.